﻿ Should you Buy OEM Optics or Third Party Optics? Most IT networking professionals are well aware of the high cost of the OEM Optics (SFP, SFP+, XFP, QSFP, CFP, QSFP28 etc.) when sourced from Original Equipment Manufacturers like Cisco, HPE, Juniper, and Extreme. While the customers search the optics price by Google, you will quickly find the huge pricing disparity between OEM optics and many other third party optics suppliers, then you are confused? Why is there such a huge price difference? OEM Optics vs Third Party Optics, What’s the difference? First of all, we need to know the definition of “third party optics” (3rd party optics) and “OEM optics”. OEM optics refers to a brand new optics supplied or manufactured by Original Equipment Manufacturers (OEM). So an original optics for a Cisco switch is branded by Cisco. 3rd party optics refers to the optical transceiver that is not supplied and branded by Original Equipment Manufacturers (OEM) but provided by another vendor (third party) who can offer or make the optics with same specifications. For example, Cisco really doesn’t manufacture transceivers by themselves, so they go to the people who do. In fact, they sourcing the item from optics manufacturers such as Finisar, Avago, and Lumentum under contract, rebranding the optics with their logo, and then sell them to end users by distributors with a quite high price. In this case, Cisco is the first party(OEM), the end user is the second party, but Finisar or another vendor is third party supplier. Advantages of Buying OEM Optics? OEM optics are manufactured to the highest quality and ensure working with their network equipment. These transceiver optics are ideal for providing the best quality and compatibility. They have a much lower failure rate and have no any compatibility issues with your switches. This is why the switches manufacturers recommend that you use their original optics. Their guys also suggest that the life of the equipment is shortened by usage of unbranded third party optics. If you have enough budget but learn little of the third party optics and concern about any quality or incompatibility issues, just pay for the OEM brand optics. However, when you search the SFP optics price by Google, you will quickly find the huge pricing disparity in optical transceiver pricing between OEMs and many third parties. For most customers, the savings from purchasing third party optics far exceeds what you expect. However, then most of the sales representative from network equipment manufacturer’s will treat the customer that if third-party optics installed in the system, this will void the system manufacturer’s warranty. In this way, the sales try to coerce customers into purchasing transceiver optics from the same system manufacturer, but all of that comes at a much higher price. Is it true? Will use third party optics void the switches warranty? The short answer is No. If the switch is defective, the vendors are obliged to fulfill the terms of the warranty per Magnuson-Moss Warranty Act that prohibits a manufacturer from revoking warranty support merely for the use of unapproved hardware. The OEMs make their huge profit from selling optics, so they always charge exorbitant prices for their optics. Our 3rd party optics are much cheaper than original ones – sometimes even 10 times. It allows you to save much money especially when you’re working with a limited budget, buy a better quality of systems equipment, the huge savings make you make extra network upgrade in the future. For example, below is list price of brand OEM SFP/SFP+ optics vs third party ones from Fiberland for your reference. Most of factories in the world produce optics according strict standards of MSA (Multisource Agreement), and they make the optics for every end users. They even provide a quality part with a long time warrantty. A professional 3rd party optics provider can offer a wide line of transceivers that even OEMs can not provide. 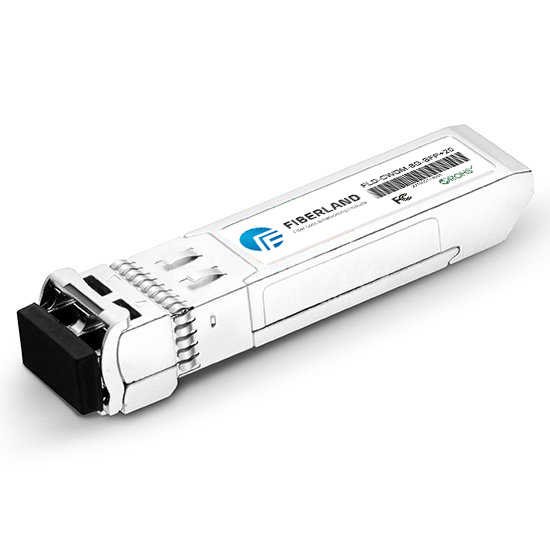 If you need long reach 1G SFP ZX 160km optics for your fiber slot in Cisco switch, you won’t find original ones, but many 3rd party can meet your needs and deliver it within 1 week. Many 3rd party suppliers have a huge stock of optics and you can get most of the them with the same day shipping. By providing you with a single contact window, third party vendors can save you valuable time by providing support for multiple manufacturers all wrapped up in a single contract. As a result, you won’t have to juggle several service contracts from OEM manufacturers. You can also eliminate any disputes that would likely occur from dealing with multiple service providers. Depending on the issue you’re having with your network systems, 3rd party vendors are capable of delivering an array of customized optics to meet your special needs. If you have many brands of network equipment products, you won’t find OEM service offerings that will provide support for equipment other than their own. You have to face complicated service contracts through multiple providers. Third party optics suppliers should consist of one team of technical experts in a variety of networking equipment from a wide spectrum of manufacturers. Just like if you want to know if a Juniper SFP works with Cisco platform, the 3rd party will tell you based on their test and experience. Most of reputable third party optics supplier will provide great support service after you’ve bought their products. They are highly focused and specialize in the optical transceiver market, and they will offer even a lifetime warranty on their products. It is inevitable that at one point or another, even with name brand OEM optics, a few optics that you buy will fail. When the software switches or routers is updated, failures occurs such as incompatibility issues with existing optics. Most of the suppliers will be able to troubleshoot and replace the optics for you quickly and at minimal to no cost. Fiberland provides 3-year warranty for all the optics product, below list is the warranty of some OEMs provide. A reputable third party optics supplier even provide Money Back Guarantee that OEMs supplier can not offer. Because they are confident of their quality and performance, always stands behind in their product and provide you the support. If the transceiver optics failed to work as described, you will get refund without risk. The choice is yours. If you demand the highest quality and compatibility 100% of the time, and it is within you. But saving money is always a good thing, if you are still using the overpriced OEM optics, just go ahead to test quality third party optics and you should love it.